By CNN'S NICOLE GAOUETTE, RICHARD ROTH, MICHAEL CONTE AND KRISTINA SGUEGLIA CONTRIBUTED TO THIS REPORT. (CNN) - Multiple sources tell CNN that a much-anticipated United Nations Security Council resolution calling for a cessation of hostilities in Yemen and for Saudi Arabia to allow humanitarian aid to reach millions of starving people was "stalled" this week after the resolution's sponsor, British Foreign Secretary Jeremy Hunt, met face-to-face with Saudi Crown Prince Mohammed bin Salman. Two sources said the crown prince "threw a fit" about the resolution. Two other sources with knowledge of the discussion didn't go so far as to describe the crown prince as angry, though they didn't deny he was annoyed. Putting it into more carefully diplomatic terms, one said, "He didn't like the idea." According to the other source, the Saudis "have their reservations," but the source said it remained a courteous discussion. As part of a British effort to draft a Security Council resolution against the continued fighting and humanitarian crisis in Yemen, Hunt flew to Riyadh this week to sit down with bin Salman, who has faced intense criticism and scrutiny over the brazen killing of journalist Jamal Khashoggi in early October at the hands of officials in his inner circle. Sources say Hunt took the draft with him and discussed it with the crown prince, who wanted changes or better yet, no resolution at all. 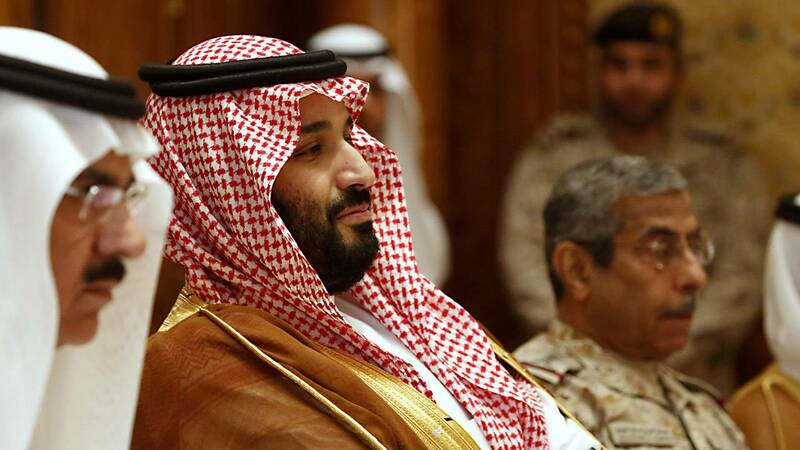 Bin Salman, known in diplomatic circles by his initials, MBS, viewed the pending resolution as weakening the Saudi position in the conflict over Yemen and emboldening its Houthi rebel rivals. "MBS didn't like the resolution on principle," said a source familiar with the Riyadh meeting. But the message Hunt delivered was a strong one, a fourth source said, and came after he'd consulted with US Secretary of State Mike Pompeo and French Foreign Minister Jean-Yves Le Drian. "'This is what Western powers think, and this is what you need to do. What is your plan to stop this?'" Hunt conveyed to the Saudi, according to this source, who added, "He heard what we said." In what's seen as a positive move, the Saudis have now agreed to facilitate Houthi negotiators' travel to Sweden for talks. Hunt left with the understanding that he would work on changes to the resolution with his team, as well as with his counterparts in the US and elsewhere. These allies share concerns that a bad reaction from Saudi Arabia to a strongly worded UN resolution could set back the start of a process to resolve the war in Yemen. Even so, one of the sources familiar with the Riyadh meeting said Western allies "are not inclined to act on all of MBS's recommendations." At a Security Council meeting on Friday, British Ambassador Karen Pierce said the UK would introduce the new resolution on Monday. The Department of State and Saudi Arabian Embassy in the US did not respond to requests for comment. The encounter puts in stark light the efforts of the UK, US and other allies to hold the kingdom's leadership accountable for serious alleged human rights violations, while still maintaining good working relationships with Saudi Arabia in the volatile region. The US and UK were the top two arms sellers to Riyadh in 2017, with $5.2 billion and $1.2 billion in sales, according to the Stockholm International Peace Research Institute. Hunt's meeting with the crown prince also underscores bin Salman's resistance to pressure on Yemen, which has become the world's worst man-made humanitarian disaster, as babies, children and adults slowly starve to death. The three-year conflict between the Saudi-led coalition and its enemies, Iran-backed Houthis, has devastated the country and killed at least 10,000 people. UN experts say the Saudi coalition's bombings of civilians are potential war crimes. The world body has also said the Saudis' partial blockade of the country means 18 million people don't have reliable access to food, creating the conditions for the worst famine in 100 years. The World Food Program warned Friday that the country is "marching to the brink of starvation." Its executive director, David Beasley, who just returned from Yemen, told reporters he touched babies who felt like "ghosts" due to starvation. The UK's willingness to make changes to the resolution to ease Saudi concerns drew sharp criticism from human rights advocates. "The Saudi sway over some members of the UN Security Council has become a serious liability," said Akshaya Kumar, the deputy United Nations director for Human Rights Watch. The UK for months has resisted bringing a UN resolution on Yemen and the US has been loath to criticize Riyadh for the destruction there. "It's absolutely mind-boggling that the world's most powerful body has chosen silence for months even as warnings of famine have mounted," Kumar said. "At this point, vague appeals to 'all parties' to improve their behavior won't work. Any resolution that doesn't specifically mention the Saudi-led coalition by name and call it out for its role in the carnage in Yemen won't have the required effect in Riyadh." In an effort to win an edge in any negotiations, Saudi Arabia has repeatedly tried to gain a definitive military edge before agreeing to talks. Khashoggi's killing, tied to bin Salman's inner circle, put Saudi Arabia on the defensive diplomatically, giving the US and UK an opening to press Riyadh. In late October, US Secretary of Defense James Mattis and Pompeo called on all participants in the civil war to agree to a ceasefire "in the next 30 days," amid criticism of US support for the Saudi-led coalition in the conflict. The administration will likely face greater pressure to restrict arms sales to Saudi Arabia and act on Yemen now that midterm elections have given Democrats control of the House of Representatives. The UK Foreign Office said in a statement that Hunt's trip, which also included meetings with the United Arab Emirates and Yemeni leaders, "helped improve understanding on steps that would lead to a cessation of hostilities. The Foreign Secretary had constructive discussions on pathways to achieve de-escalation and reduce tensions, and was clear that both sides would need to play their part in the confidence-building measures." The fourth source familiar with Hunt's discussions said the foreign secretary was in the region "to talk about a full sweep of issues in relation to Yemen" and as a result, also visited the UAE, a core member of the Saudi coalition. Hunt also spoke to the Saudi crown prince about the country's standoff with Qatar and about the need for accountability in Khashoggi's killing. On Thursday, the Saudi Public Prosecutor's Office charged 11 people -- five face the death penalty if convicted -- for the Virginia resident's killing. One source with knowledge of the discussion between Hunt and the crown prince told CNN that such a meeting, between a British foreign secretary and the Saudi de facto head of state, is unusual; that based on diplomatic protocols, the foreign secretary would normally meet with a lower-level counterpart to talk over a pending action. The fourth source familiar with Hunt's meeting said the Saudis "have their reservations" about the resolution, "but it's a tool to get both sides to come to the table. And it does need to reflect the reality on the ground." One source with knowledge of discussions says the US has not been shying away from supporting the resolution, and that US Ambassador to the UN Nikki Haley has been enthusiastic about getting something done. The source said others in the US administration don't seem to be as willing as Haley to forcefully call out Saudi Arabia in this way. But MBS's serious pushback to a potential statement by the UN Security Council -- merely a resolution calling for humanitarian aid and stopping the fighting -- also shows that such moves have an impact at the highest level of Saudi government. "The Saudis are hugely sensitive -- ultra, ultra sensitive -- to international perceptions," a diplomatic source told CNN. "They hate criticism. And MBS brings a whole new level of paranoia about this."